Attorneys for President Donald Trump will appear in court Tuesday to argue against claims that the president violated a constitutional clause that prohibits elected officials from doing business with foreign governments. 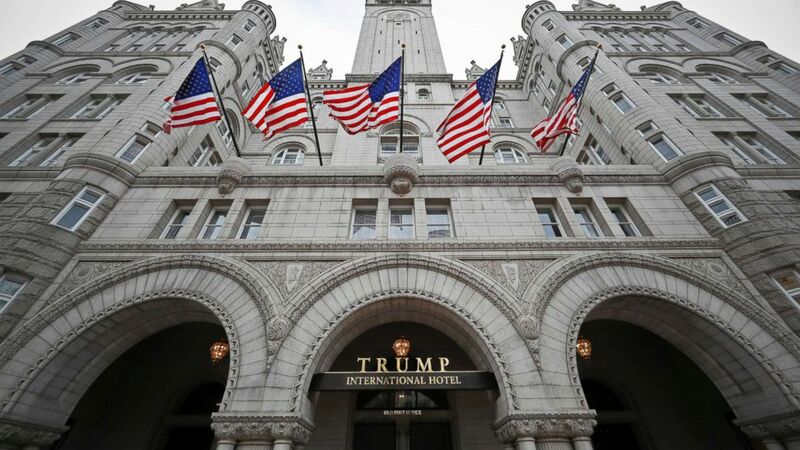 The case, which is being brought jointly by the attorneys general from Maryland and Washington, D.C., argues that Trump violated the U.S. Constitution’s foreign emoluments clauses by benefiting from the patronage of foreign dignitaries at the Trump International Hotel located just a few blocks away from the White House. The hotel also sees its fair share of foreign government officials. Dignitaries from Bahrain, Azerbeijan, Nigeria and South Korea have all been spotted in the hotel, and just last month the hotel hosted the Kuwaiti embassy’s national gala. Attorneys who have brought the lawsuit against Trump are arguing that foreign officials who patronize Trump’s D.C. property may be currying favor with the president. The Constitution’s two so-called emoluments clauses prohibit the president from accepting gifts or profiting from a foreign or domestic government. Tuesday’s case is one of three such cases brought against the president related to this issue. (Alex Brandon/AP, FILE) A photo from Dec. 21, 2016, of the Trump International Hotel on Pennsylvania Avenue in Washington, D.C. Attorneys for the president moved that one of the other cases, brought by members of Congress, be dismissed. A judge in that case found that the members of Congress have standing for the suit, and is currently considering other elements of the president’s motion to dismiss. The other emoluments case, brought by a government watchdog group, was dismissed and is currently being appealed. The outcome of the case will depend largely on how the term “emolument” comes to be defined. This is open for debate however, as emoluments cases are exceptionally rare, and one has never gone to trial in the United States. Earlier this year, the president’s legal team argued for a more narrowly tailored interpretation of the emoluments clause, stating that payments by foreign dignitaries to the Trump Hotel should not be considered emoluments because they don’t relate to his work as president. The president is being represented in his professional capacity by attorneys from the Department of Justice. But the judge who allowed the case to proceed sided with the Maryland and D.C. attorneys generals’ broader definition of the term, who argued that an emolument is anything of value, including payments to the president’s companies. The president’s adult sons running the business have bristled at the charge they are profiting off the presidency. During Tuesday’s arguments before an appellate judge in Richmond, Virginia, attorneys for the president will challenge that ruling, arguing as they have in the past that foreign dignitaries simply “prefer the Trump brand” and are not currying favor with the president when patronizing the Trump Hotel.